Harajuku girl wearing a black hooded jacket and a grey plaid skirt. Harajuku girl wearing an all black street style with boat neck top, lace trim tank top, pleather skirt, sheer socks and platform shoes. 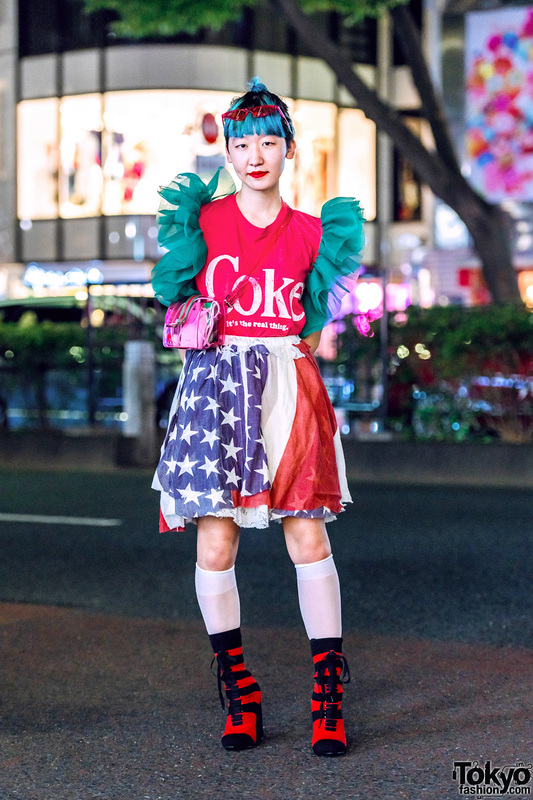 Harajuku girl sporting a layered fashion style while out for a walk on the street.